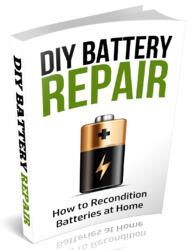 See "Removing the Battery Pack" on page 36. See "Removing the SD Dummy Card" on page 37. See "Removing the DIMM Module" on page 38. See "Removing the Back Cover" on page 39. See "Removing the Hard Disk Drive Module" on page 40. See "Remove the two screws (D) securing the hard disk to the bracket and remove the hard disk from the bracket." on page 42. See "Removing the Optical Drive Module" on page 44. See "Removing the Middle Cover" on page 47. See "Removing the Keyboard" on page 49. See "Removing the LCD Module" on page 50. See "Separating the Upper Case from the Lower Case" on page 53. See "Removing the Left Speaker Module" on page 60. See "Removing the USB Board Module" on page 61. See "Removing the Modem Module" on page 63. See "Removing the Bluetooth Module" on page 64. Release right speaker cables from the latches. 17. Disconnect the speaker cable from its connector on the main board. 18. Remove the one screw (E) securing the speaker module and remove it from the lower case. 19. Detach the right speaker module. How to disconnect speaker cable mainboard acer?